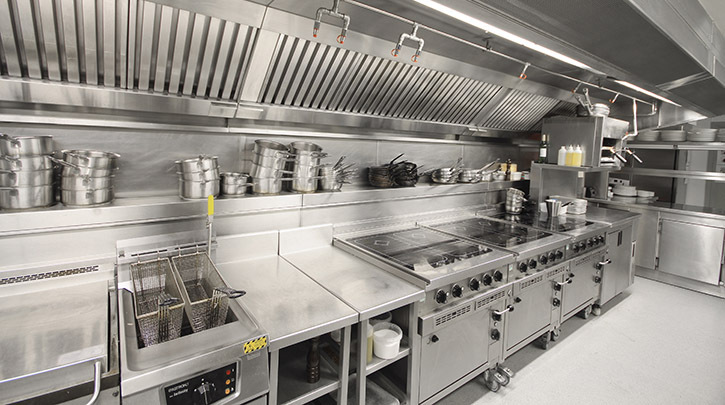 If your needs fall outside of the standard options, KES Facilities provides Barnsley and its surrounding areas a sheet steel fabrication service that allows the creation of entirely bespoke set-ups to meet your unique air conditioning, refrigeration, kitchen, ventilation and extraction requirements. Our capabilities allow us to design and fabricate one-of-a-kind systems that exactly fit the space available, without compromising on function or quality. We see every fabrication as a challenge and our highly skilled team is able to take on installations of the most complex nature, all the while ensuring that systems meet industry standards and compliance regulations. KES Facilities maintains its loyal customer base through its outstanding reputation as a supplier of high quality fabricated equipment. We offer a full CAD service, taking you through each step including planning, design, fabrication and installation. With our extensive capabilities, KES Facilities can see your project through from start to finish – all with our own products and services. This reduces your cost and time input in having to liaise with and employ the services of multiple contractors. Call our team today on 0113 347 1234 to discuss making your vision a reality.